Montichiari is the gateway to Lake Garda, a picturesque town set upon six hills which offer stunning views of Lake Garda in one direction and the Apennines in the other. You are 12kms from the shores of the lake, but the appeals of Montichiari - the castle, theatre, duomo and 12th Century Romanesque abbey, plus all the museums and galleries - make it a great, inexpensive city base for exploring the lake. Our Guru’s recommendations for the best places to stay in Montichiari tend to either be in the medieval centre of town or a little out of the centre on the pretty hills. Visit the stunning Castello Bonoris in the old town. Learn about the local history at the town's Lechi Museum. Montichiari is home to number of fascinating religious sights such as the Duomo and a 12th century Romanesque Abbey. Within easy striking distance of Lake Garda. Our list of the best places to stay in Montichiari reflect the town's rich culture and heritage. 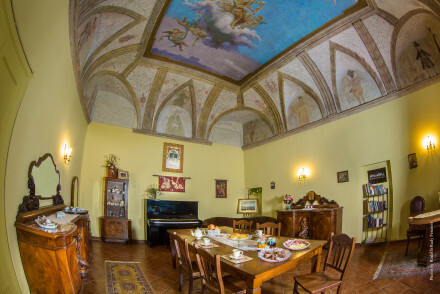 The Villa San Pietro is a spacious B&B right in the heart of medieval Montichiari. There are just three rooms, each very spacious and individually decorated with antiques and family heirlooms. There’s a very warm welcome and plenty of activities on offer. Room start from around £70 per night. If you want to stay in a fairytale Palazzo, then the Palazzo Novello is for you. There are 18 elegant rooms and suites featuring muslim-draped four-poster beds and huge showers. 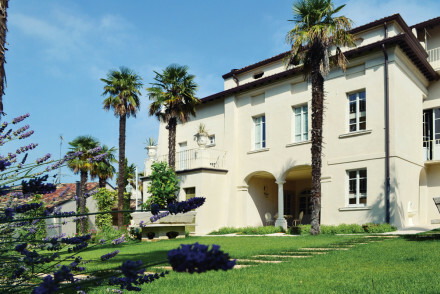 Rooms start from around £80 per night and you’re just 20mins from the shores of Lake Garda. For people who are looking for some place all to themselves, explore the options at our online partner Booking.com. The best airport for getting to Montichiari is Verona (41 miles). If you are looking to hire a car, we recommend visiting our online partner Rentalcars. The best time to visit Montichiari is in the summer months, when the temperature sits comfortably in the twenties. Still not sure which is the best place to stay in Montichiari for you?